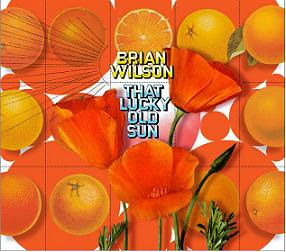 If Brian Wilson's new album, That Lucky Old Sun, truly were the follow-up to Smile, I could see why it would be considered something of a sophomore slump. That Lucky Old Sun is Wilson’s first album since Smile. (not counting his 2005 Christmas album). But let’s be real. Smile is a bizarre masterpiece that Wilson first began working on more than 40 years ago with The Beach Boys. It was rescued and revived four years ago by Wilson, with the loving, patient, and determined assistance of members of his band Wondermints. (Wilson fans should, if they haven’t already, immediately get their hands on the DVD Brian Wilson Presents Smile. I came away respecting his young band mates nearly as much as I respect Wilson himself.) Smile is in a class by itself, but you shouldn’t hold that against this new album. It could be argued that, on the surface, That Lucky Old Sun sounds like a follow-up to Smile. Both albums are song cycles featuring recurring musical themes, tunes ranging from the whimsical to the melancholy, and obvious references to longtime Wilson sources like Phil Spector and The Four Freshmen. You hear strains of doo-wop, barbershop, California pop, quasi-chamber music, and lounge sleaze. The lyrics are frequently clunky — but that’s been true ever since Wilson, now in his mid-60s, was a little-bitty Beach Boy. Alas, there are aspects of this album that prevent it from being a classic. For instance, the silly doggerel “narratives” that pop up between some songs are corny and annoying. Surprisingly, they are written by Smile lyricist Van Dyke Parks. Sadly, they are Parks’ only contributions to the record. And while the music of “Forever She’ll Be My Surfer Girl” isn’t bad, the self-referential sentimentality is a little much for these jaded ears. So no, That Lucky Old Sun is not in the same league as Smile. But consider this: even though Beethoven’s Sixth is no Beethoven’s Fifth, it’s still Beethoven. 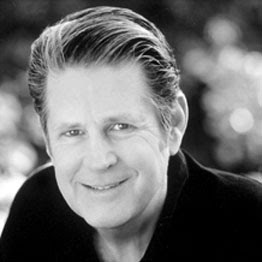 * Best Brian Wilson Song of All Time: “Surf’s Up,” co-written by Van Parks. My favorite version of this song, originally written for Smile, is the one that appeared as the title song of the Beach Boys’ 1971 album. * Best Brian Wilson Song of All Time Runner-Up: “Heroes and Villains.” My favorite version is from the original Smile sessions; it appears on the Beach Boys’ 1993 box set, Good Vibrations. * Best Cover of “Surf’s Up”: David Thomas & Two Pale Boys. * Worst Cover of “Surf’s Up”: Vince Gill, Jimmy Webb, and David Crosby on the DVD An All-Star Tribute to Brian Wilson. * Weirdest Brian Wilson Song: “Rio Grande,” from his self-titled 1988 album. It sounds like the soundtrack for an imaginary theme-park ride based on a Western starring Pee-wee Herman. * Saddest Brian Wilson Song: “Still I Dream of It.” My favorite version is the lo-fi demo track on I Just Wasn’t Made for These Times. * Best Brian Wilson Celebrity Ode: “Johnny Carson,” from The Beach Boys Love You. * Best Brian Wilson Song I Don't Care If I Never Hear Again in My Whole Life: “Good Vibrations.” It’s a great song, but Sunkist ruined it for me years ago. * Best Brian Wilson Song That’s Not Really a Brian Wilson Song: “Meth of a Rockette’s Kick” by Mercury Rev. 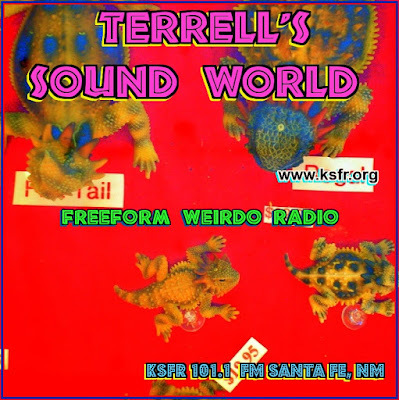 * Best Brian Wilson Radio Tribute: This Sunday at 11 p.m. on Terrell’s Sound World, KSFR-FM 101.1.